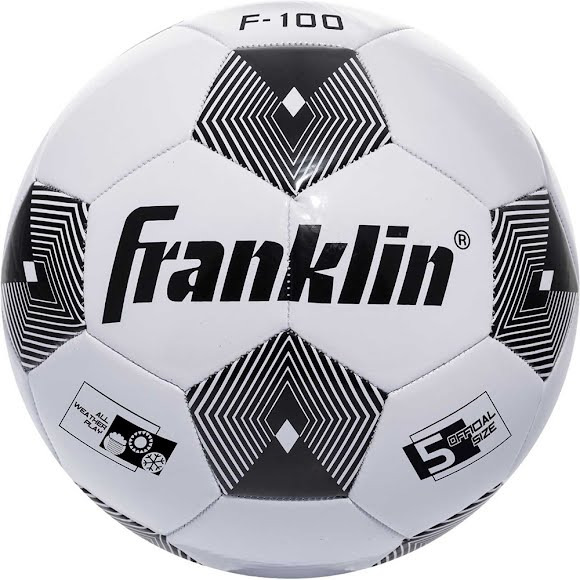 Fine tune your foot skills with Franklin's Competition 100 Soccer Ball. This classic ball is perfect for soccer players of all ages and skill levels. With its traditional styling and official sizing, it is ideal for both game and practice play. The long lasting air-retention bladder decreases continual deflation, while the SHOK-SORB® cushion system provides soft cover. Fine tune your foot skills with Franklin&apos;s Competition 100 Soccer Ball. This classic ball is perfect for soccer players of all ages and skill levels. With its traditional styling and official sizing, it is ideal for both game and practice play. The long lasting air-retention bladder decreases continual deflation, while the SHOK-SORB® cushion system provides soft cover.